So even though you have mastered the proper golf swing from the tee and other familiar areas around the course, there will be times where you will find yourself with a difficult next shot. It is inevitable, so you will need to be prepared for these situations. Some of the trickiest shots in golf can come from difficult lies. You may be on either an uphill and downhill slope, or on a side slope where the ball is either above or below your feet. 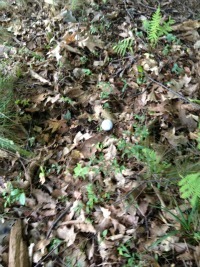 These lies can occur anywhere on the course from the rough, the fairway, or even around the green. There are just a few quick tips that you need to remember in order to alter your proper golf swing in order to more effectively deal with these situations. For this type of shot, you will need to slightly change your golf stance by bending your lead leg more in order to compensate for the slope. Also, you want to align your shoulders with the slope, meaning your lead shoulder should be slightly elevated compared to your back shoulder. You also should have slightly more weight on your back leg and the ball should be placed forward in your stance to take into account the slope. Shots for uphill lies also tend to bend to the left (if you are right handed), so you may want to aim slightly to the right. One more golf swing tip for an uphill lie is to remember that the ball will fly higher and for shorter distance so choose a club with less loft to make up for this. This can be an extremely difficult shot! If you do make good contact with the ball, it is very hard to get it in the air however. So, unlike the uphill lie, you will take a more lofted club with this shot. Your shoulders should be in line with the slope, and the ball should be placed slightly forward in your stance. For a right handed golfer, this shot will tend to travel to the right, so aim slightly to the left. The main tip to remember when hitting this shot is that with the ball above your feet, you will need to straighten your knees to prevent you from hitting the ground instead of the ball. Very similar to an uphill lie, this shot will tend to travel to the left so aiming right may be necessary. With the ball above your feet you should straighten your knees, so if the ball is below your feet, your will need to bend your knees more. This will hopefully prevent you from topping the golf ball. This shot may travel to the right, so you may want to aim slightly to the left. Hopefully, using these tips will help you to navigate these difficult lies with greater ease. There isn't just one proper golf swing! You will need to modify accordingly to the situation, and this will potentially lead to lower scores!